Competitions for a place in Malaysian public universities are becoming increasingly fierce. Every year many students graduate from public or private institutions of higher learning. In 2016 alone, approximately 3 million students graduated in Malaysia with a bachelor’s degree. Trade box analysis is a geometrical tool commonly used in the study of intra-industry trades between nations. 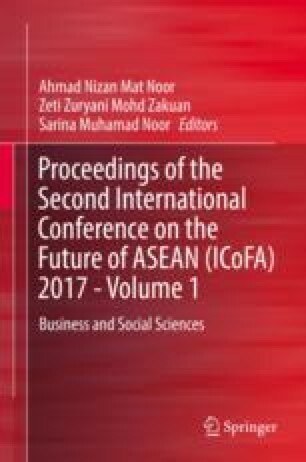 The objective of this research is to modify and apply the trade box analysis approach in analyzing the competitiveness between genders in the enrollment of five main public universities in Malaysia. The data of Malaysian students’ enrollments at these universities from the year 2010 to the year 2016 are used in this study. The five selected public universities are the Universiti Teknologi MARA, Universiti of Malaya, Universiti Kebangsaan Malaysia, Universiti Utara Malaysia, and Universiti Putra Malaysia. The outcomes of the analysis as seen in the university gender intakes box showed that the ratio of female students to male students’ enrollments to the five universities was about the same throughout the analyzing years, that is, female 65% to male 35%. The total number of student intakes differs between these universities, with UiTM having the highest number of students’ enrollment. In the year 2016, the enrollment for UiTM dropped drastically, but the ratio of female to male students did not change much. The highest total number of student intake for UiTM occurred in 2013; for UM, 2011; for UKM, 2016; for UUM, 2010; and for UPM, 2011. The total number of student intake in UiTM was about 5 times higher than the other universities,’ except in 2016 where it was about 2.5 times higher.